5. 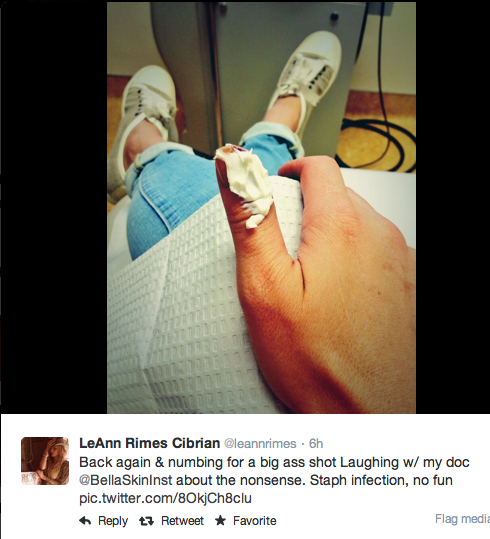 LeAnn Rimes doesn't want to perform at dirty casino gigs and she's planning sick outs through self sabotage and imaginary illnesses and injuries. 10. She knows she's surrounded herself with people who only love her for what she can do for them financially.